- booked tickets were Brussels to Amsterdam and Amsterdam to Cologne, both valid only on booked date but open time. - no power outlet, no upper bank and no wifi onboard. Seats are comfortable, even the toilet. - though I booked in Hispeed website, most trains assigned were not their owned. - my supposed to be night train sked from Amsterdam to Cologne has stopover of more than 5hrs in the middle of the night. Thus, sleeping outside station again. 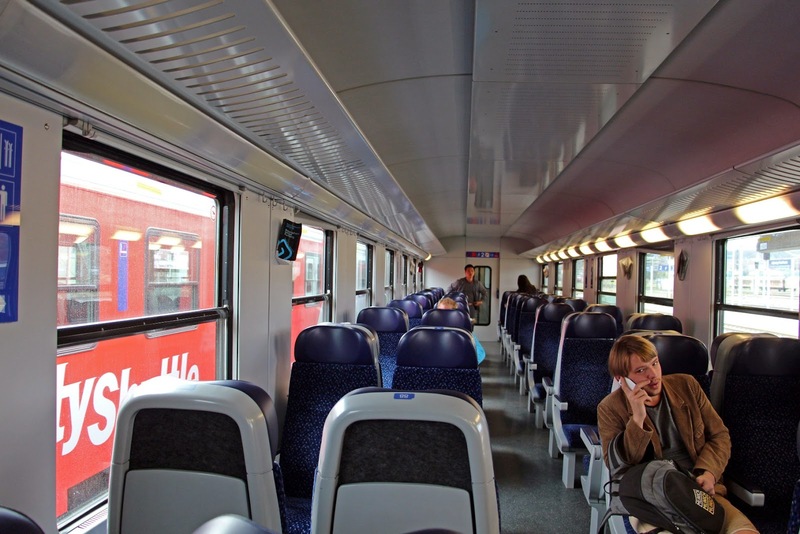 - train seats are less comfortable compared to the SNCF, SBAHN and HISPEED. - mini led display for the route reservation on that particular seat. If none indicated, these means that seat is open to anyone. - no human/machine inspector for the metro tickets. When I purchased my ticket to a vendo, there is only one small validation machine nearby the platform. - Tickets bought are valid only on the date and time it was purchased. All details are included in the online eticket, ensure you understand accordingly. - Berlin to Augsburg stop-over was delayed by 30mins, good thing the stop-over duration is 35mins so I still have time to analyze the station on the next destination. 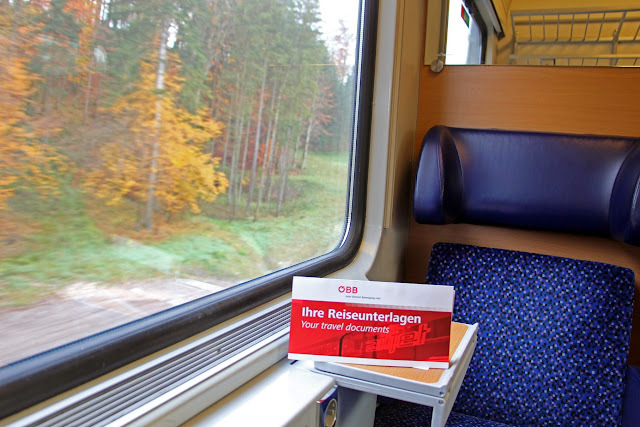 - very stunning vivid meadow views on the left side of the train from Augsburg to Fussen, prepare your camera. - in Munich, I have a sudden changed of plan due to boredom. I bought Bayern Bohmen ticket for 25 Euro which entitles for 1day unlimited ride in Bavarian region (RE/RB/CN trains only). I went for a short visit in Nunsberg. This is very, very economical knowing that I can immediately hop to any trains I want despite of peak periods. - no wifi onboard and no 220v outlet. Trains are comfortable, even the toilet. - train seats are classic, 2 sets of 3 rows facing each other enclosed in a cubicle (2nd class). no power outlet, no upper bankand no wifi onboard. Seats are comfortable, even the toilet. - cheapest I think among all train companies I booked. - ticket inspector asked for passport for ticket verification. - the 2nd passport control. This time it was onboard the train while cruising from Munich to Prague. The process is like an ordinary ticket inspection, very relaxing and no intimidation intercepted. The 2 IO's kindly asked my passport, inspected it and around less than a min, he returned it back. Also, this IO's are polite as I did not feel any nervousness when they interrogate and scrutinize my passport. - I cant sleep due my ticket was inspected for more than 3x, in Germany it was only once. So I anticipated every now and then for every short stop, there would be a roaming different inspector visited my cubicle. - same ticketing process with Germany, vendo only and unmanned. - same ticketing process with Germany and Czech Republic, vendo only and unmanned. - on my travel bound to Salzburg, I hopped to Huttledorf stn (0604H) ignoring the originally booked westbahnhof stn (0556h) due to proximity. Good thing Huttledorf is on its way and not on the opposite way or else I will definitely force to wake up more earlier. - this day (oct27) was the change of winter time in this region. Thus, from +0200h, it will be back to +0100h. I just saw this info as posted on the hostel reception. Good thing my alarm clock was synchronized and I managed to be online night before. - no window sightseeing due to heavy fog. - no wifi onboard, only 220v outlet. Trains are comfortable, even the toilet. - check everything about your train transpo info, even 1 train route is combination of 2 or more routes. As what happened to me, train EN237 from salzburg to venice route was intermixed with EN499. I noticed this mixed-up on the departure table. I made it a practice that I always confirm my next departure timings upon arrival to the train station. This was the first time and it only happened to this particular route. I went to OBB infodesk and tgey confirm EN237 is mixed-up with EN499. But upon arrival hour before the ETD, I didnt saw the EN499. I looked up again to the departure timings board for how many times until I figured out that EN499 is named as SEN499. I confirmed this by comparing the destination stop-overs abd good thing when I arrived on the assigned platform, there was an attendee. Btw, this train was delayed by more than an hour on departure from salzburg. I think the reason of merging this train routes is due to less number of passengers. - same with there morning wagons, 2 sets of 3 rows facing each other enclosed in a cubicle (2nd class). Thus, it was very incomfortable knowing that we were 3 inside and all were very sleepy. - purchased tickets on machine in Venice (bookings available only a week before intended date) were all domestics, venice to milan, milan to florence, florence to pisa and florence to rome, both valid only on booked date but open time. - no power outlet, no upper bank. 2 sets of 3 rows facing each other enclosed in a cubicle (2nd class). Ordinary tickets had 2 months to use, open time but on that particular train & route only. Train stations here still maintained the old-look. - very, very relaxed ticket insp, as in there was no one roaming around inside train. The problem not like in other countries, they have an almost entire staff of english little knowledge only. - take advantage of the ticketing machine to analyze sked and cost of train fares, it helps a lot especially if you tick 'all possible options'. - good thing i did not perform advance ticket purchase somehow because of spontaneous decision of changing plans in firenze-pisa-firenze trip. - morning train bound to Rome from Florence was annoying due no seats were available, all occupied. This last train hopping trip was the most crowded one.